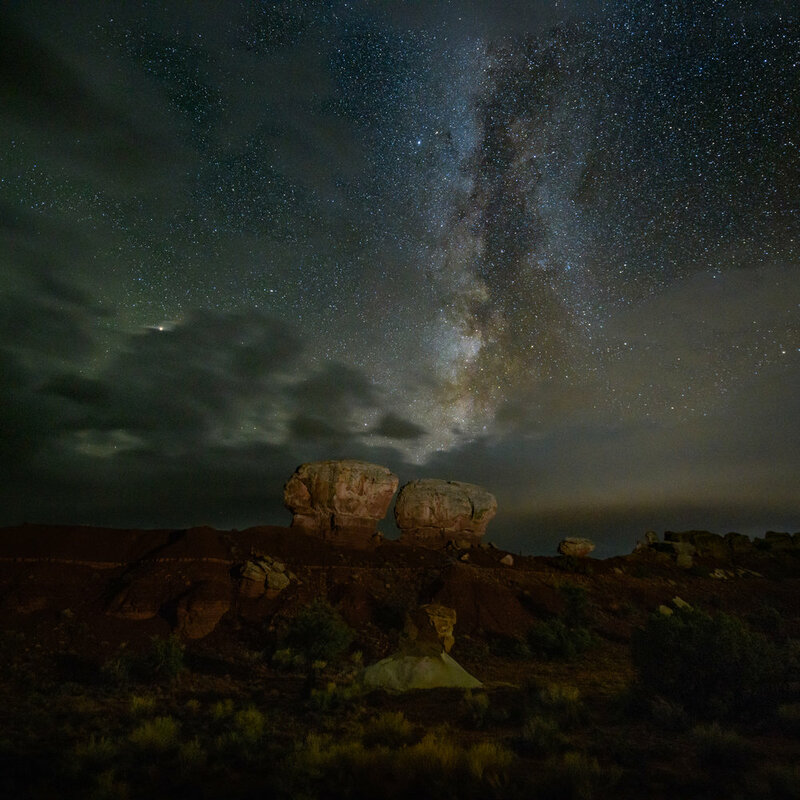 Join us in Utah's amazing high desert, where you’ll photograph some of the darkest skies around. 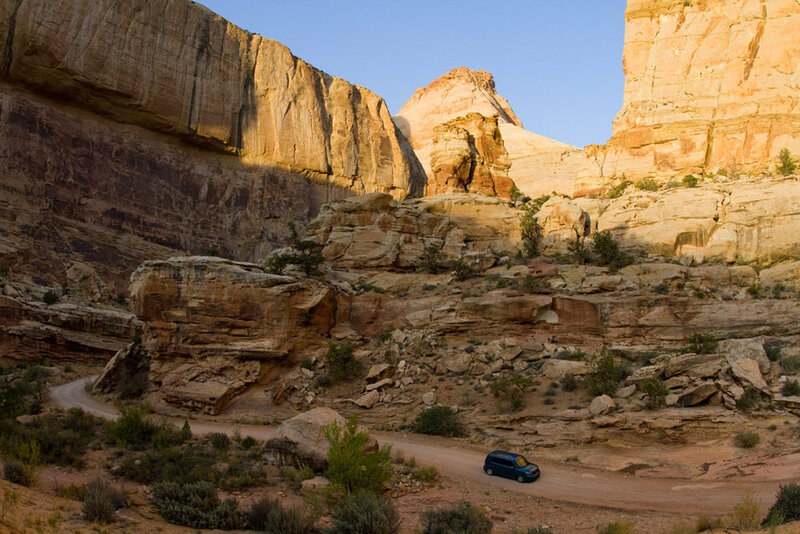 You’ll have three nights of remote camping in Capitol Reef National Park’s Cathedral Valley and The San Rafael Swell. We’ll have a fully outfitted camp allowing us to be very close to the locations where night photography is best. Camping "Muench-style" means we'll supply the tents, cots, mattresses, dining tent, kitchen, and of course, amazing food! We’ll also have scheduled time in private meeting rooms, where we’ll have our signature image reviews and post-processing instruction. Wayne will teach his unique method of blending multiple files together to create amazing results, using both Lightroom and Photoshop. You’ll be up long hours during the cool and dark nights, learning how to create outdoor lights to illuminate the features of the landscape to look like moonlight. 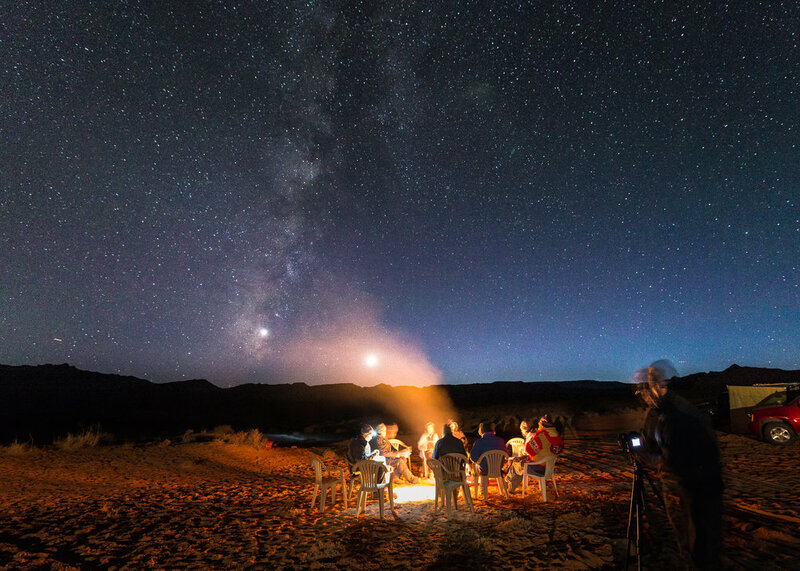 This workshop is designed to take advantage of the optimal time to photograph the Milky Way in the Northern Hemisphere, during a waning crescent phase of the moon. August 23, 2019: Arrive Grand Junction, Colorado (GJT airport code) before 5:00 PM this day. We meet for a group dinner at 6:00 PM. August 24–25, 2019: We start with an introductory Lightroom session, and are on our way by 12:00 PM, heading out to our first campsite nearby to Cathedral Valley, where we will stay for the next two nights, shooting the Temple of the Sun, Temple of the Moon and the surrounding area. We’ll be fully outfitted with all of our meals prepped and served for us. Expect excellent food throughout, with hot breakfast and dinner. We’ll pack our lunches in the morning before we head out. This is a stunning area, with excellent photographic opportunities at night, sunrise and sunset, and throughout the day. August 26–28, 2019: We pack up after breakfast, and head to the Red Sands Inn in Torrey, UT. While in Torrey, after a bit of a rest, and time to shower, we’ll have our first crit session, where we will review images you’ve shot so far, and also demonstrate our processing techniques in Lightroom and Photoshop. We’ll head out in the evening after and early catered dinner for a sunset/night shoot. 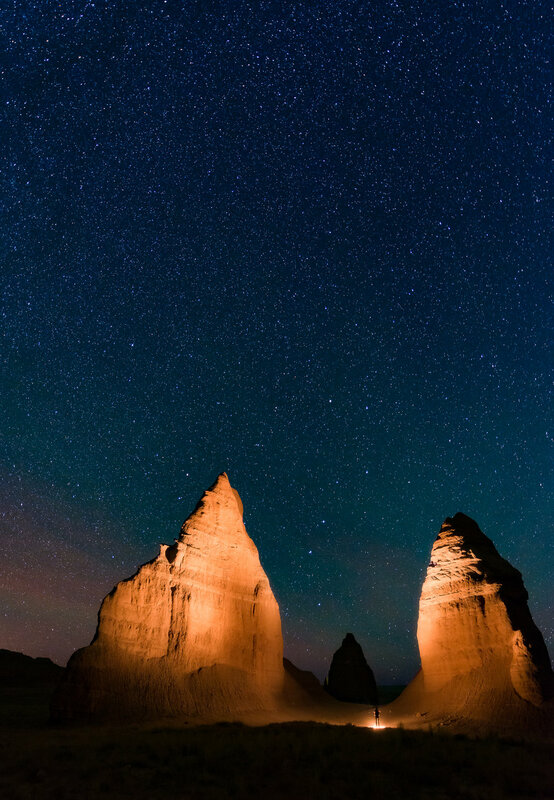 On the 27th we’ll sleep in after a long night out shooting under the stars in Capitol Reef National Park. We’ll have a private meeting room where we’ll take most of the day working on new techniques taught by Wayne and Lisa. August 28, 2019: After a sunrise shoot and breakfast, we head out to meet with our outfitters at the second camping location at the slopes of the San Rafael Swell. This geologic wonder is really a sight to behold, as is the. 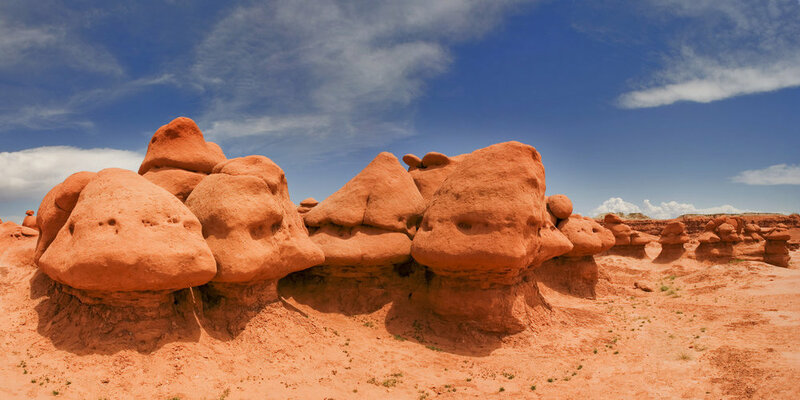 nearby Goblin Valley. 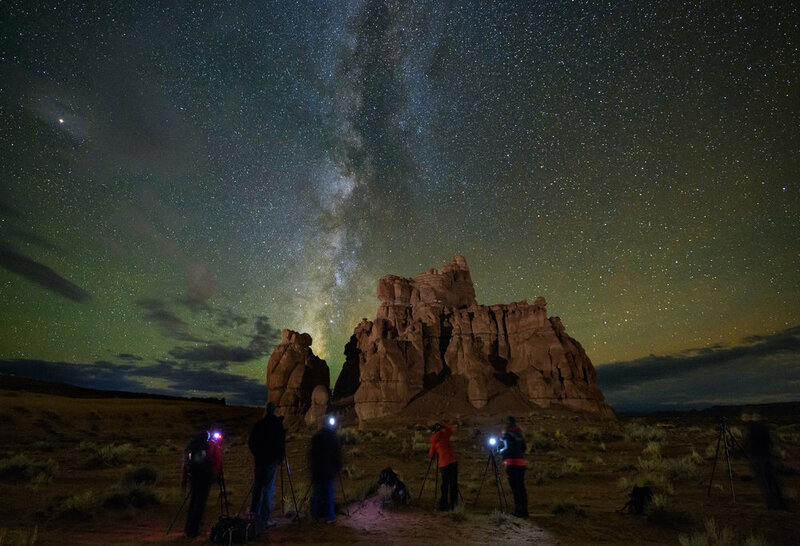 We will find a valley filled with hoodoos of all shapes and sizes. . We camp here for one night, giving us opportunity for night photography with the stars and milky way, light-painting, sunrise, sunset and more. August 29 2019: On the morning, we pack up from camp and head to the Doubletree Hotel Grand Junction, shooting along the way. At the hotel we’ll have another crit session to review the images from the second half of the workshop, and to go over what we’ve learned. We'll use this classroom time to evaluate your best images and reinforce learned techniques in post processing. August 30, 2019: You will have your final post processing session from 8–11:00 AM. This will be a chance to finish your work on merging images with Wayne and Lisa’s help. Flights home from (GJT) airport can be anytime after 2:00 PM. Transportation to and from Grand Junction, CO. Any lodging before or after the workshop dates. Items of a personal nature. Alcoholic beverages. Medical Evacuation Insurance (required). Travel and trip cancelation insurance optional. Anything specifically not listed as included. Your deposit of $2,495 will hold your space in this workshop. The balance of $3,000 will be due not later than May 1, 2019. All of our standard terms and conditions apply. Need special payment arrangements for your deposit? No problem, just ask us. This workshop is strictly limited to 8 guests. If you have interest, don't delay, click the "Sign Me Up!" button and we'll see you in Utah! Got questions?